Due to Tropical Storm Isaac, Caribbean Airlines Limited (CAL) cancelled two flights for tomorrow between Trinidad and St Lucia. The airline advises passengers, of flights BW 434 from Port-of-Spain to St Lucia and BW 435 from St Lucia to Port-of-Spain, to contact its reservation offices for rebooking on the next available service. CAL’s corporate communications department today issued a media release about the cancellation. It said to minimise inconvenience to customers who have travel tickets dated September 12 to 15, CAL is allowing them to rebook without any changes in fees. This is subjected to several conditions including the waiver of all fees for tickets rebooked in the same cabin, for travel up to September 30. 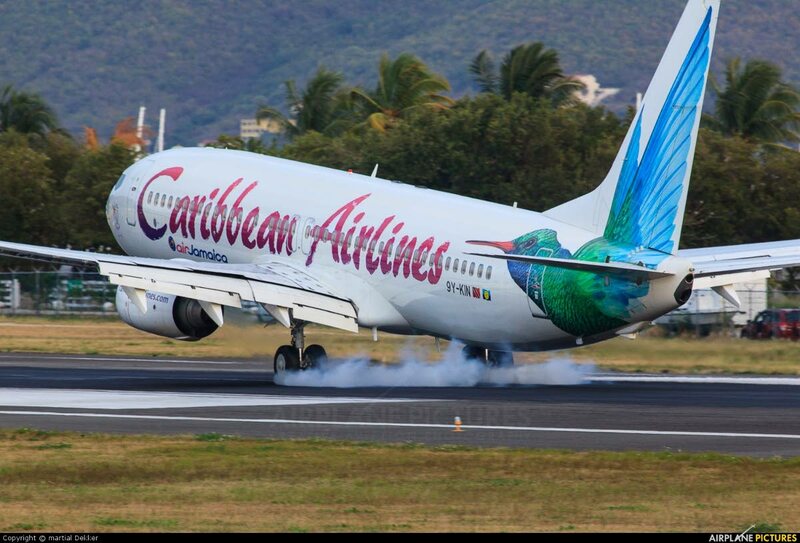 “It is mandatory that customers contact Caribbean Airlines before the scheduled date of travel,” the release said. CAL promises to refund full fares for travel up to September 30. The refund must be requested by that date. All changes must be made through CAL’s call centres or at CAL’s ticket offices. CAL said it will not be responsible for arrangements or transportation to or from an alternate airport or hotel or any overnight expenses incurred by affected passengers. These waivers include travel between George F.L. Charles Airport in St Lucia and Piarco International only. According to Meteorologist III Saide Shakeer of the TT Meteorological Service (MET), Tropical Storm Isaac is expected to move across the northern Lesser Antilles early tomorrow. As of 11 am today, the storm was about 730 km east of Guadeloupe. In a media release, Shakeer said a tropical storm warning is in effect for Guadeloupe, Dominica and Martinique. A tropical storm watch is in effect for Antigua, Montserrat, St Kitts and Nevis, Saba and St Eustatius. “As always, pay close attention to the information being issued by the TTMS by visiting our website at www.metoffice.gov.tt, downloading our mobile app (TT Met Office) and following us on Twitter, Facebook and Instagram,” Shakeer said. Although Isaac poses no direct threat to TT, TTMS’s issued a public warning on its website about a hazardous sea alert. The tropical storm is expected to generate long-period swells which would affect northern and sheltered near-shore coastal areas. This is expected to happen between 3 pm today and 5 pm on Saturday. Sea bathers, fishermen, and small craft operators should avoid entering the sea if unnecessary. They should also be alert for dangerous breaking waves and currents. Reply to "Two flights cancelled due to Tropical Storm Isaac"